Deleted photos from your BlackBerry phone by mistake? Don't worry. This post shows you how to recover deleted picture with Recoverit Photo Recovery. How Can I Retrieve Deleted Pictures from BlackBerry? "My mum said she had accidentally deleted some precious pictures off from her blackberry phone while she was re-setting it. Can anyone help her to restore these pictures back? Many thanks!" There are many unpredictable cases that may cause you to lose photos from BlackBerry cell phones, such as deletion and card formatting. When this happens, you may wonder if there is any chance to recover pictures from BlackBerry internal memory card, or any BlackBerry photo recovery tool that can be helpful? 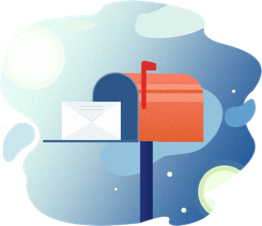 In fact, this problem is not a big deal, but the thought that it is unable to get deleted pictures back might be oftentimes recognized by people. Firstly, it has to be said that there is no Recycle bin on a BlackBerry phone. So if your mom did not connect BlackBerry memory card to a computer during the accidental deletion of BlackBerry pictures, it is unlikely to recover them via Recycle bin. Of course, it doesn't mean that the deleted pictures disappeared permanently. 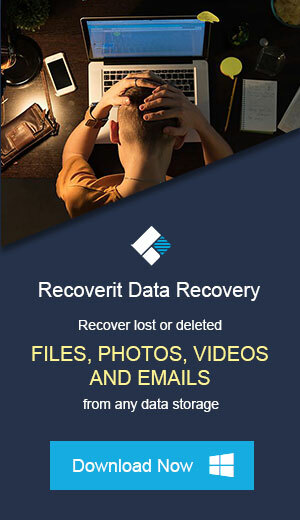 The most effective and efficient way to recover lost photos from BlackBerry cell phone is using third-party BlackBerry data recovery software: Recoverit Photo Recovery or Recoverit Photo Recovery for Mac, which is an easy-to-use and effective recovery program. You can use it to completely recover deleted photos, video and audio files from BlackBerry cell phones. It also lets you recover data from computer, hard drive, external storage devices such as a memory card, digital cameras, USB drive, iPod, etc. You can have a try with the trial version first. 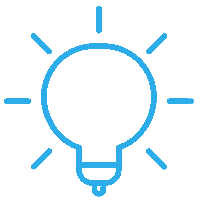 This trial version is free and provides you with a preview. Note: It is worth noting that Recoverit data recovery program isn't designed to recover deleted pictures from iPhone or phones without SD card. 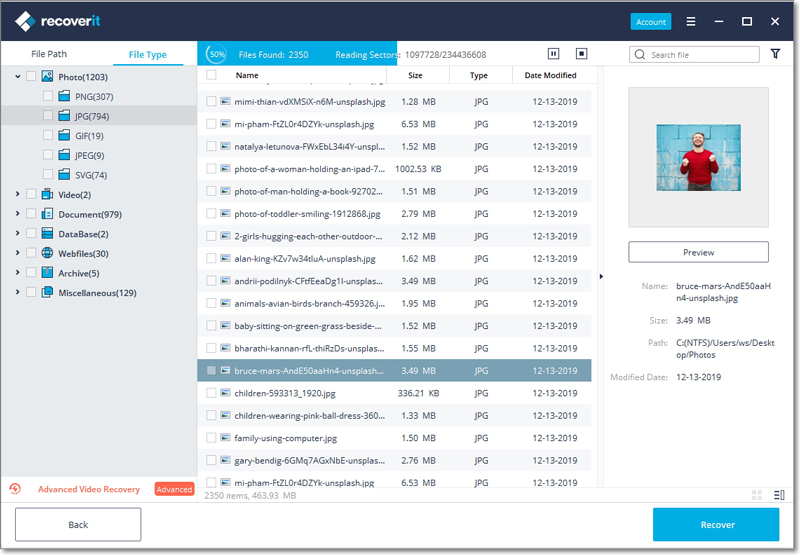 Part 2 How to Recover Deleted Photos from Your BlackBerry Cell Phone? Recovering deleted phots from your cell phone is not that difficult as you imagine. Follow the below steps and get them back right now. 2. How to Get Deleted Photos Back on Your Phone? Download and install Recoverit on your computer. Connect your BlackBerry phone or only the memory card to the computer and launch Recoverit photo recovery. Follow the next simple steps to recover deleted photos from Blackberry cell phone. Make sure your mobile phone or SD card has been connected to the computer and can be detected by it. To recover deleted pictures from Blackberry cell phone, select the cell phone storage on list. Click the "Start" button to scan your BlackBerry memory card for the deleted pictures. The cell phone photo recovery software will initiate an all-around scan. It will deep dig into your BlackBerry phone SD card to thoroughly search for the lost or deleted photos. Finally, Recoverit phone recovery software allows you to preview the photos listed in the scanning results. 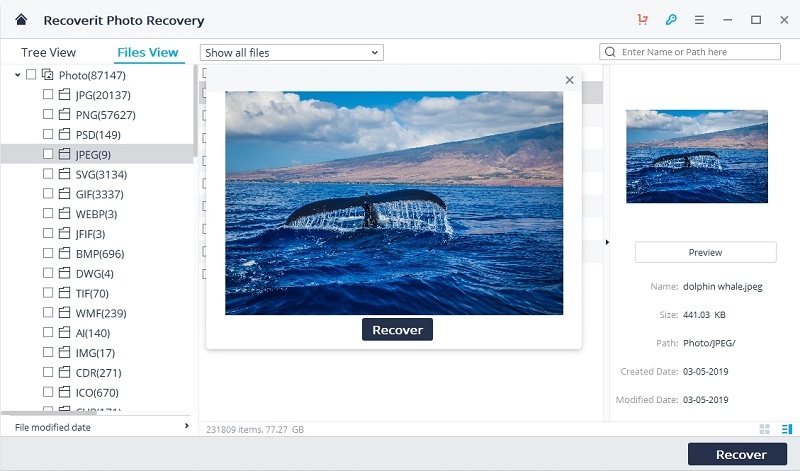 Select the photos that you wish to recover and click on "Recover" to get them back. 1In order to increase the chances of retrieving deleted photos from BlackBerry phone memory card, it is strongly recommended not to save any more files when you notice that your photos were deleted. 2After the Blackberry recovery, it is better to back up the deleted photos on different storage devices in case of similar accident. Accidentally delete all the photos instead of some not so nice ones, and can't find them any more in BlackBerry phone. When you connect your BlackBerry to the computer, mistakenly deleted your important photos, even emptied them from the Recycle Bin or Trash. The BlackBerry memory card/stick gets corrupted, and photos become inaccessible. During the photo transfer from your BlackBerry to the PC, some of the photos are not delivered and can not be found either in BlackBerry phone or the computer. Why Is It Possible to Undo Deleted Pictures on a BlackBerry? The memory card or stick in a BlackBerry is just like an external hard drive. When photos stored on it are accidentally deleted, they won't go to the Recycle Bin or Trash, but that doesn't mean that those photos are deleted forever. No matter if the photos are deleted from BlackBerry phone card or computer Recycle Bin or Trash, all photos can be recovered, providing that they are not overwrtitten. The deleted photos are still intact somewhere in the BlackBerry cell phone card or computer hard disk, if transferred. The system only marks those photos as deleted, but the real data are safe, just inaccessible. As a result, once you notice that your photos are deleted from BlackBerry phone memory card, stop putting more files into the card and use the Recoverit phone photo recovery software ASAP. This article only focuses on BlackBerry phone photo recovery. If you are looking for computer photo recovery, this solution may help you: How to Recover Deleted Pictures from Computer. 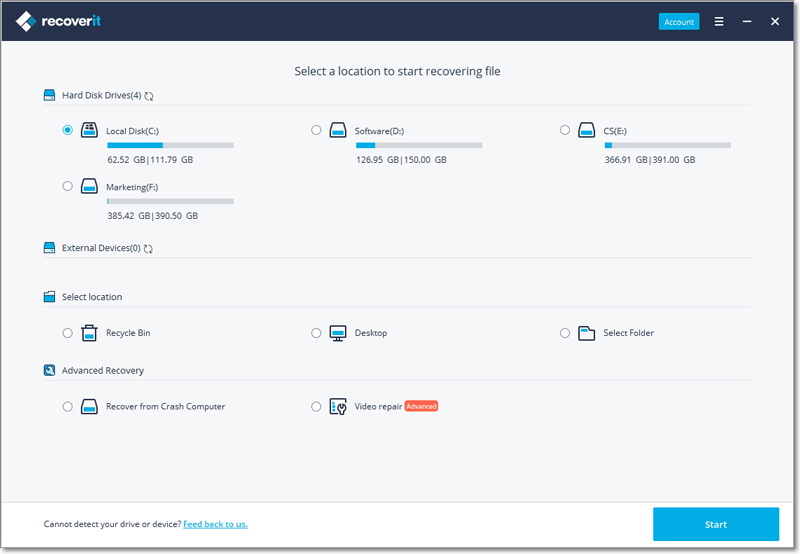 Searching for external hard drive recovery? We also provide you with solutions: How to Recover Data from External Hard Drive. If your computer or external disk is crashed or damaged, check our solutions for Computer Crash Recovery and Damaged External Hard Drive Recovery.